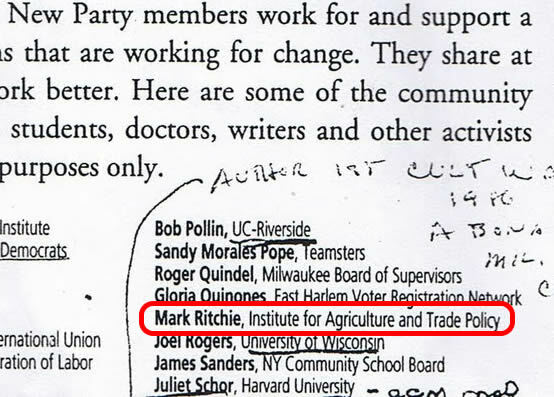 Controversial Minnesota Democratic - Farmer - Labor Party Secretary of State Mark Ritchie was formerly a key member of radical socialist "alternative" political party - a party that helped launch the political career of Barack Obama. In the early 1990s, the now defunct New Party was founded as a left wing adjunct to and eventual replacement for the Democratic Party. While New Party leaders always touted their party as non socialist and analysis of its leadership gives lie to that claim. New Party News Fall 1994 listed over 100 activists -"some of the community leaders, organizers, retirees,, scholars, artists, parents, students, doctors, writers and other activists who are building the NP"
Of the hundred or so activists listed many were affiliated to ACORN, Democratic Socialists of America, the Communist Party USA offshoot Committees of Correspondence, or the far left Institute for Policy Studies - once described by analyst Brian Crozier as the "perfect intellectual front for Soviet activities which would be resisted if they were to originate openly from the KGB." Barack Obama joined the Chicago New Party's sister organization Progressive Chicago as early as 1993. By 1995 he had joined the New Party during his successful run for the Illinois State Senate. Mark Ritchie, as Minnesota Secretary of state has the responsibility of overseeing electoral recounts. 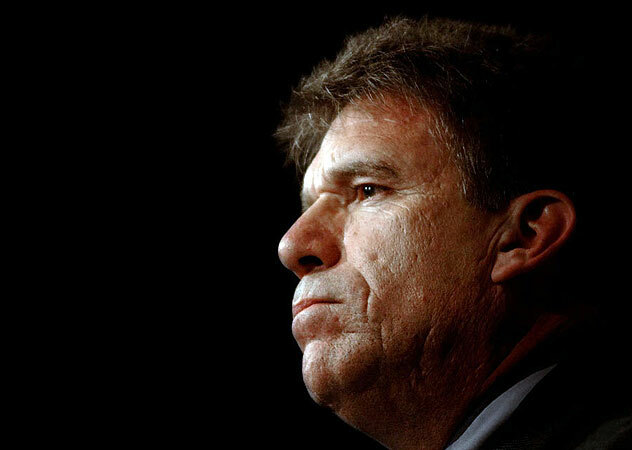 This resulted in considerable controversy in 2009 when Ritchie handed a U.S Senate seat to leftist former comedian Al Franken, though his Republican opponent was ahead on election night. Now Mark Ritchie is set to oversee another recount that could put leftist Democrat and long time Ritchie associate Mark Dayton in the Minnesota Governor's mansion. 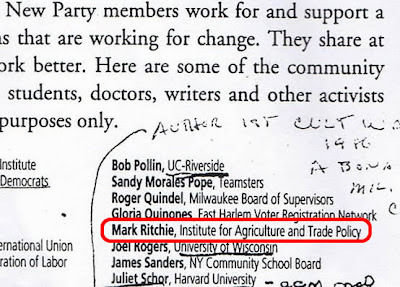 Interestingly Ritchie serves on Advisory committee of Wellstone Action with Franken, Dayton and Democratic Socialists of America member, New Party founder and Progressives for Obama endorser Frances Fox Piven. The fact that Mark Ritchie once helped lead a covertly socialist political party with close ties to President Barack Obama must cast doubt on his impartiality and suitability for the position. Thanks for posting this important information. Somehow, this isn't very surprising, though. The Commies have taken over the Democratic Party. Thanks Trevor for all you do, however nothing surprises me or my friends anymore, only that we have to make sure we vote everyone of these commies out in 2012 and never again let our guard down. Can we now refer to the Democratic Party as the Communist Party of America. The plans of radical philanthropist George Soros and his billionaire allies to make it easier for state officials to affect the outcomes of elections through chicanery were dealt a temporary setback last week.